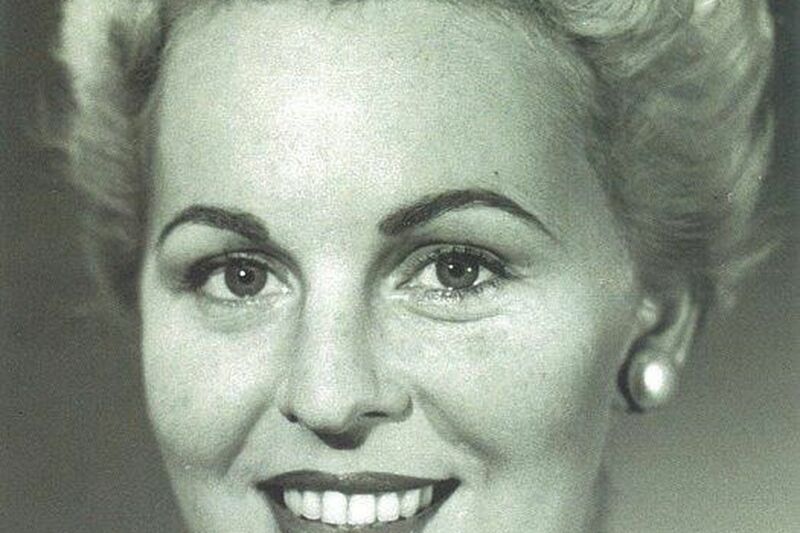 Nancy Morris Kirk, 92, of Lafayette Hill, a longtime model who got her start as a teenager when she posed with a fishing rod on a beach at the New Jersey Shore, died Monday, March 4, of respiratory failure at Abington Hospital-Jefferson Health. The image of Mrs. Kirk fishing in the surf was the linchpin of a promotional campaign created in the 1940s by the Ocean City Tourism Office. She was modestly turned out in a straw hat, long pants, and a sleeveless top. The photo was used on a billboard to welcome vacationers as they crossed the bridge between Somers Point and Ocean City, her family said. It also appeared in a tourism brochure and on postcards. The photo of Mrs. Kirk was taken on the beach at Ocean City, N.J. when she was in her teens. It was used as part of a promotional campaign to attract tourists. Mrs. Kirk went on to work out of the Models’ Guild of Philadelphia, the forerunner of professional modeling agencies in the city. Her photo appeared in a 1953 Look magazine article on how parents should tell children about the birds and the bees. She was pictured in a Philadelphia Flower Show program book wearing a prim suit and flower-trimmed hat. She was president of the Models’ Guild for many years. In 1949, a smiling Mrs. Kirk was photographed peering out from behind a large facsimile of the guild’s January calendar as if ushering in the new year. In a March 28, 1963, article in the Ambler Gazette, Mrs. Kirk, by then married and the mother of four, said that it took more than a pretty face and attractive figure to be a professional model. The job wasn’t romantic or glamorous. Born in Abington, Mrs. Kirk took up modeling after graduating from high school. She had planned to go to art school but reconsidered when she married psychologist Earl Bruce Kirk in 1945. Armed with encouragement from her mother, Mrs. Kirk enrolled in the John Robert Powers Finishing School, a training ground for models, in the Bellevue Stratford hotel. She then auditioned for acceptance to the Models’ Guild. To her surprise, she was accepted as a full-fledged model. She quickly found work at the fashion shows staged by department stores in the 1950s and 1960s to showcase apparel. “Anyone who has ever attended a fashion show at one of Philadelphia’s large department stores has probably seen Mrs. Kirk in anything from a bathing suit to a wedding gown,” the Gazette reported. She appeared in TV commercials, church fashion shows, and charity events at the Whitemarsh Country Club. A model must also be graceful and well-groomed, she added. Mrs. Kirk juggled family with career. She volunteered with the Girl Scouts and served as a homeroom mother at Plymouth-Whitemarsh High School, where her children attended classes. She enjoyed painting, dancing, traveling, music, and swimming. Her husband died in 2001. She is survived by daughters Barbara Ann Kirk, Diane Teresa Kirk, and Mary Ann Walters; a son, Earl Bruce Kirk Jr.; six grandchildren; and two sisters. A visitation will be held starting at 9:30 a.m. Saturday, March 16, followed by a 10:30 a.m. Funeral Mass, at St. Philip Neri Roman Catholic Church, 437 Ridge Pike, Lafayette Hill. Interment is in George Washington Memorial Park, Plymouth Meeting.